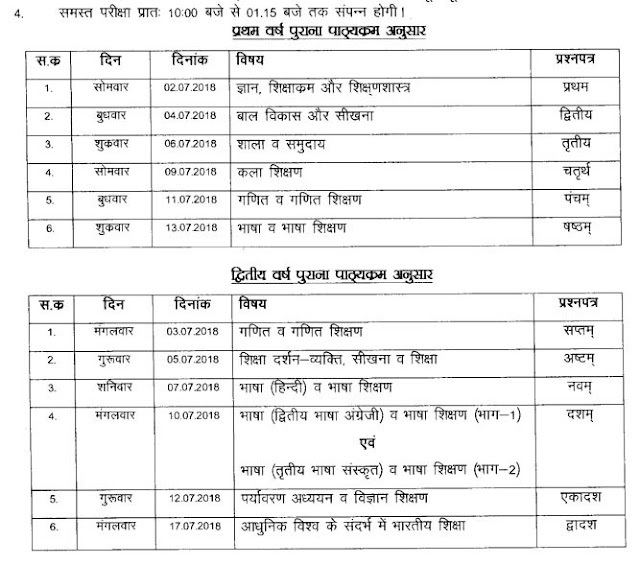 Board of Secondary Education, Chhattisgarh State conducting Diploma in Education (D.Ed) First and Second year Regular/Supplementary examinations from 2nd July 2018 to 17th July 2018. The Chhattishgarh board D.Ed. Examinations July 2018 timings are 10.00 am to 1.15 pm. All the best for all Students of CG Board D.Ed. Examinations 2018.